If you’ve never had an astrological or psychic reading before, a great place to start is with a tarot card reading. The order in which cards are chosen in the spread or layout, can be very telling. A reading can provide insights into what the universe has in store for you and help you prepare for big life events. Tarot cards first appeared on the scene in the 15th century, and were first used for divining in the early 18th century. It is widely believed that the tarot originated in ancient Egypt and that its literal translation is “the royal road of life.” The basic tarot deck remains unchanged with four suits and 14 cards in each suit. In the 20th century, Carl Jung explored the connection between psyche and imagination using tarot cards. Tarot decks used as a divination tool are typically used by one person, and only one person. Each deck is attuned to a reader using a dedication ritual or some other method to bind the cards to the individual. Mediations are also used to strengthen a psychic reader’s connection to their deck. 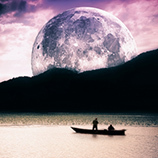 Each psychic uses their own tarot spread, and may change the spread based on their intuition about a particular client. The interpretation of cards is dependent on the order they are chosen in, and whether they are reversed or upside down. Reversed cards are often interpreted as negative. But they don’t necessarily mean that doom and gloom are on the horizon. 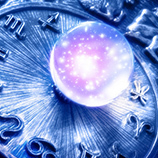 They simply provide more nuance to a reading and give your psychic more insight into your particular situation. Some tarot readings are very complex, and multiple cards are chosen. Other readings use just three-to-five cards chosen by an individual. Neither is more or less effective. They are just different approaches. 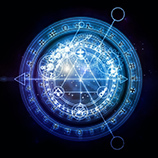 If you are intrigued by the use of tarot cards, make an appointment at the Astrology Boutique. We’re conveniently located on Division Street in Chicago. Stop by or make an appointment for during your lunch hour or after work.